American Cultural Center provides library and information services and organizes a variety of cultural events. Its history goes back to 1993. 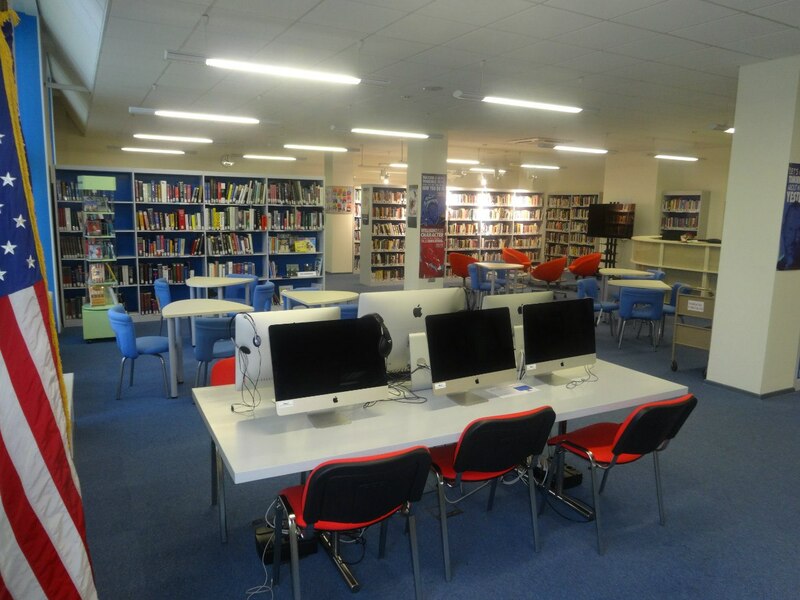 The library collection includes a wide range of books, magazines, DVDs and CDs. Open access to shelves gives our patrons an opportunity to find exactly what they are looking for. Read more about our collection. Every month American Cultural Center organizes numerous cultural programs: lectures, film showings, talks with native speakers, thematic clubs, workshops, discussion boards and much more. All events are free and open for public. Find out more about ACC activities and take a look at our calendar to keep track of the most interesting events. Our mission is to contribute to the international cooperation development, ensure access to American cultural heritage, and strengthen Russian-American cultural ties. Visit us, take a tour of our library and learn more about the activities from our staff! We are open for you seven days a week!